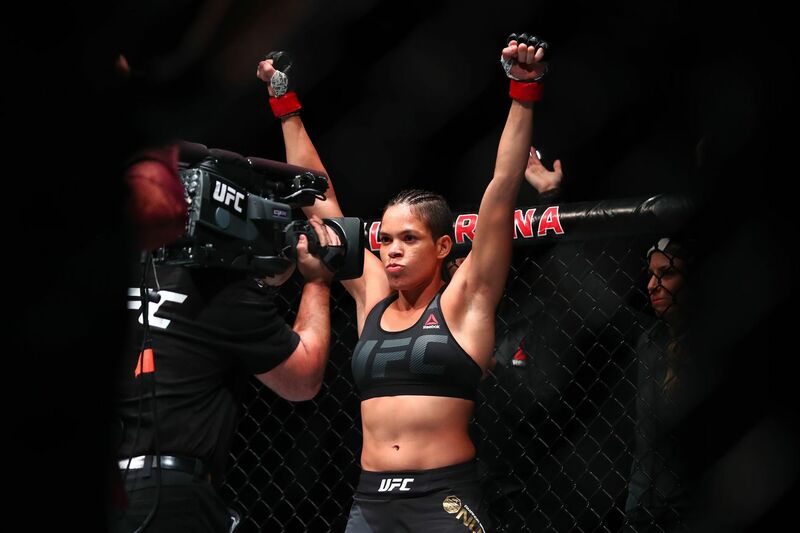 Amanda Nunes blitzed her way through her first-ever title defense against former women’s Bantamweight champion Ronda Rousey in the main event of UFC 207 on Dec. 30, 2016 in Las Vegas, Nevada. It’s a feat she accomplished by knocking “Rowdy” out in just 48 seconds (highlights), which was a good enough performance to prompt UFC announcer Bruce Buffer to pay “Lioness” the ultimate comment. In his own Buffer way, of course. Indeed, Nunes has proven she is the real deal, choking out Meisha Tate at UFC 200 to capture the division crown; a finishing move set up by her impressive striking, butsing up Tate’s nose throughout the title fight. As for Rousey, well, Buffer pretty much shares everyone’s sentiment that it would behoove her to start training at another camp.